Time to part with my 74 BSA Chopper. This has been a project bike for 8 years. It's bounced around a few shops on the west coast for various work. It has a brand new engine. It's not titled and needs a few things done before it's roadworthy and safe to ride. It's 95% ready to ride. Here are some things I can remember it may need before riding: New tires, front brake, turn signals, valve cover gaskets and possibly a battery. The old British bikes were right foot shifter and left rear brake. A friend some years ago engineered linkage to convert to left shifter and right rear brake. This may need some alignment or just taken off. The bike is 9' long. It sits low to the ground. I'm a medium built guy and comfortable with the height. If you are over 6' tall the bike may be a little small for you. 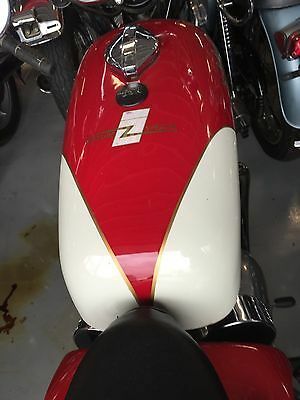 It has a custom built frame, coffin gas tank, octagon oil tank, custom upholstered King & Queen seat, wrapped fishtails, springer front end and more. This is a 12 volt dc, negative ground bike. 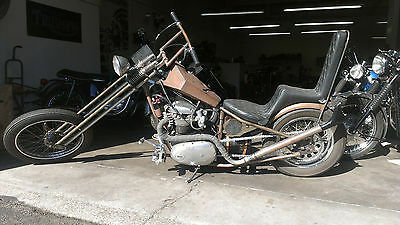 You can put 10 harleys next to each other and everyone with checkout this 74 chopper. There's nothing like it on the road. 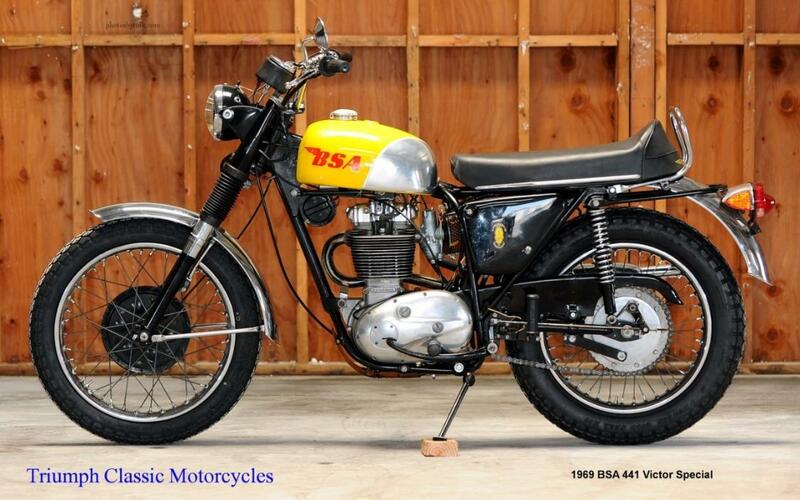 The engine is a BSA A-65 650. 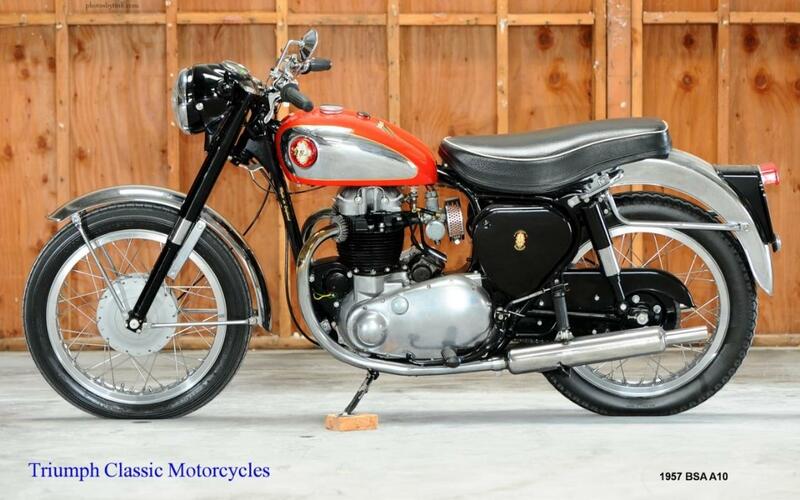 Spent $4,300 restoring the engine with Countryside Cycles in Florida. 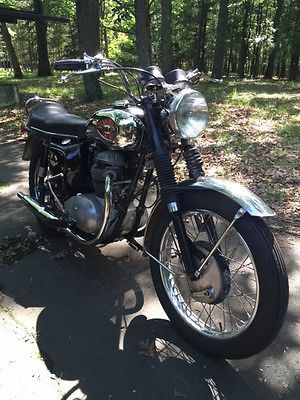 Have about $10k into this bike. Fully restored could be worth twice that amount. Asking $6,850. To save us both time, serious inquiries welcome. Feel free to call with questions. Thanks for looking. 909-268-1500. 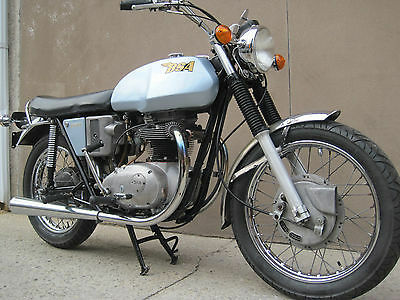 SECOND OWNER, 1971 BSA THUNDERBOLT 650 CC. EXAMPLE OF A TRUE SURVIVOR. BIKE STARTS RIGHT UP ON THE SECOND OR THIRD KICK. NO SMOKE, NO OIL LEAKS. EVERYTHING WORKS THE WAY THEY SHOULD. BIKE IS NEAR MINT CONDITION. GOT A BUY IT NOW PRICE OF $4700 OR WILL CONSIDER THE NEAREST BEST OFFER. GOT A CLEAN AND CLEAR TITLE IN HAND. 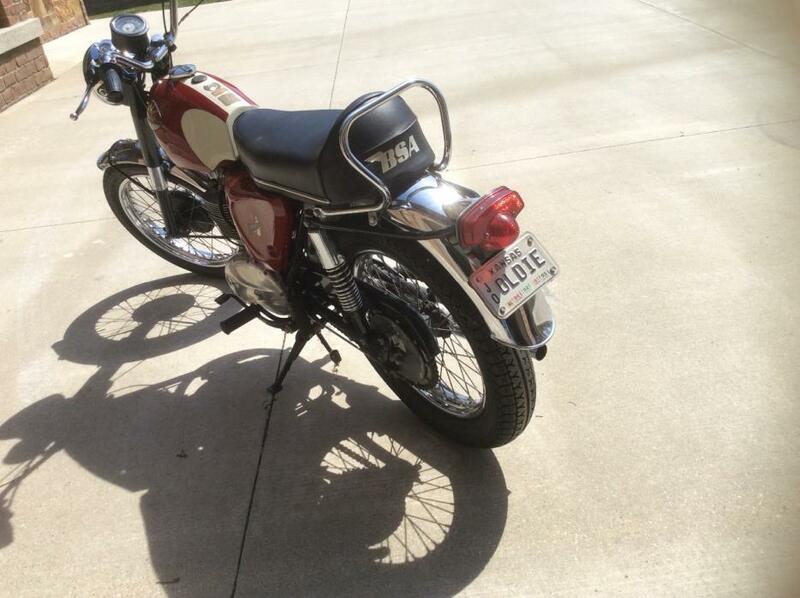 I RESERVE THE RIGHT TO END THE LISTING EARLY, AS THE BIKE IS ALSO LISTED LOCALLY. IF YOU GOT ANY QUESTIONS OR DOUBTS CONTACT ME ON 646 361 8452. IF ANYONE WISHES TO COME SEE THE BIKE, CALL ME AHEAD OF TIME TO MAKE AN APPOINTMENT. IF THE BIKE NEEDS TO BE SHIPPED, I CAN ASSIST IN SHIPPING. I ENCOURAGE ONLY SERIOUS BUYERS. FEEDBACK WILL BE REPORTED ON EBAY.ACCEPTED PAYMENT METHODS ARE CASH IN PERSON, CASHIER'S CHECK/MONEY ORDER OR WIRE TRANSFER. IF PAYMENT IS MADE VIA CASHIER'S CHECK/MONEY ORDER, THE MOTORCYCLE WILL BE RELEASED ONLY ONCE THE FUNDS HAVE CLEARED. THE WINNING BIDDER NEEDS TO DEPOSIT $200/- VIA PAYPAL(NON-REFUNDABLE) IMMEDIATELY AFTER END OF AUCTION AND FULL PAYMENT NEEDS TO BE MADE WITHIN 7 DAYS(1 WEEK) OF END OF AUCTION. THE MOTORCYCLE GOT TO BE PICKED UP OR SHIPPING ARRANGEMENTS NEED TO BE MADE WITHIN 14 DAYS OF END OF AUCTION. THANK YOU FOR VIEWING!! GOOD LUCK!!! I picked up this BSA about 3 years ago with the intention of going through it and using as a weekend rider, but unfortunately I need the money for other things so she's gotta go, it's a very nice low mile motorcycle that is completely original except the paint (frame paint is original) the paint is very nice and the pin striping is by hand (it could use tank decals as one is stained), it also has a very desirable Borranni on the rear (I will provide the buyer a matching front rim for $100 if they want) it was put away running but drained of fuel, I did lose the key so the lock is out so it can be keyed, the only other thing is it needs a set of air cleaners (I used them on my Hornet), the original exhaust and seat are very nice as are the fenders and gauges, in general this is a very nice low mileage motorcycle, this will be sold with a Bill of Sale, a transferrable registration is available but it will cost about $200 as I will have to register the motorcycle and pay sales tax (you can register a motorcycle that is this old just about anywhere on a Bill of Sale) I reserve the right to end the auction at any time as the bike is for sale locally. 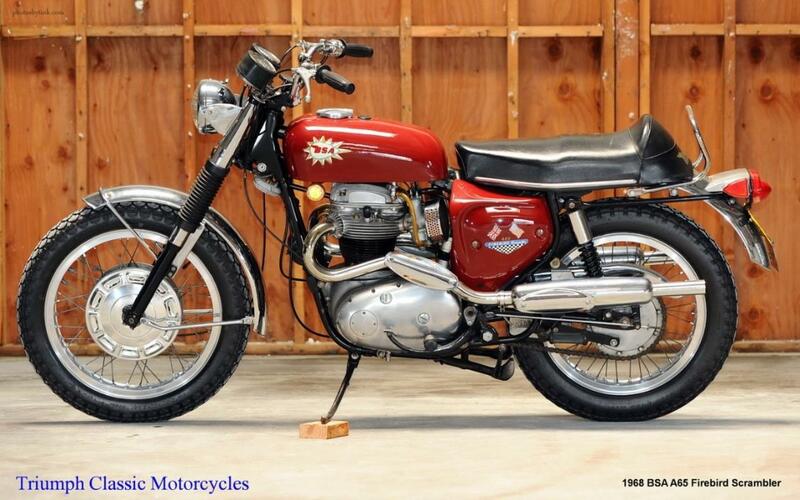 Single family owned original 1971 BSA Firebird Scrambler with under 5,000 miles (approximate). The bike sat indoors and protected in our family house for over 30 years. 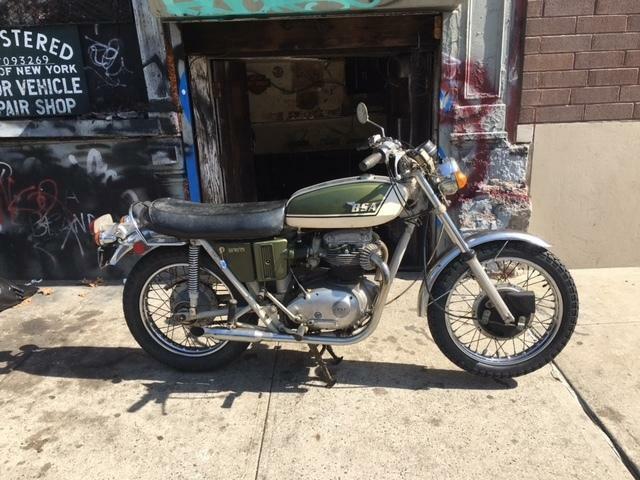 The bike was just fully serviced by one of the most reputable shops in NYC for vintage european bikes. Any part that was worn from sitting was replaced with brand new parts, new tires and new inner tubes. 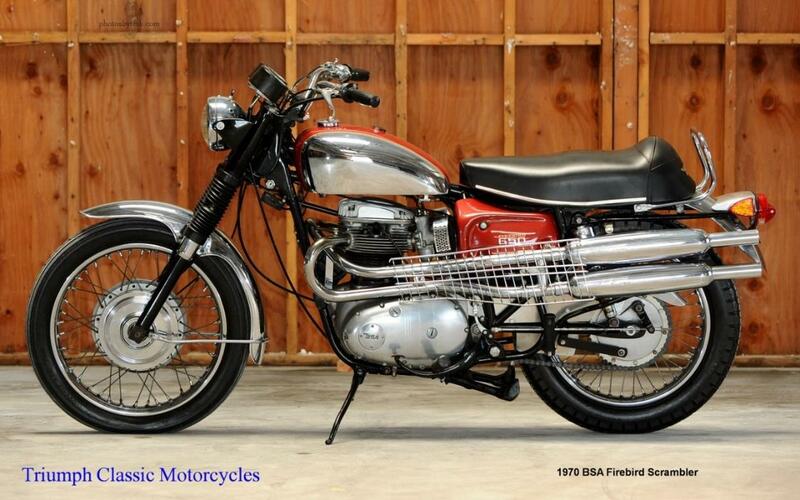 Bike runs great!BSA '71 650 cc Firebird Scrambler, twin carb, oil in frame model. Original high pipes replaced with street pipes. Front sprocket changed for lower rpm at highway speed. Missing speedometer and cable to rear wheel. Gas tank coated to prevent rust. Also added an oil pressure gauge but is currently not hooked up. All paint is original. Been sitting in garage for 35 years. 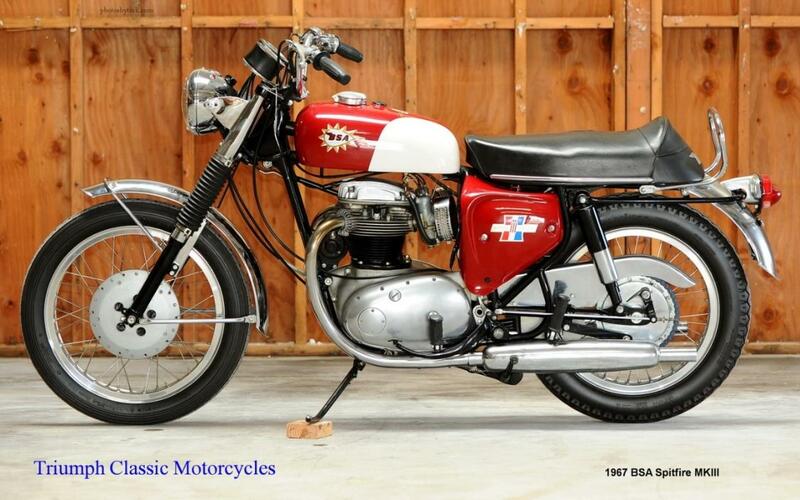 This totally original BSA Shooting Star has barely 5,000 miles and has the legendary 441CC Victor engine. It is a museum quality bike.